An unusual patient for us. The northern short-tailed shrew is a voracious insectivore and is one of the few venomous mammals. It’s saliva paralyzes it’s prey. They eat constantly! This little guy was found cold and lethargic, out in the open in the cold. 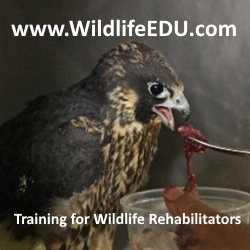 He is wintering over at Red Creek and will be released int he spring.